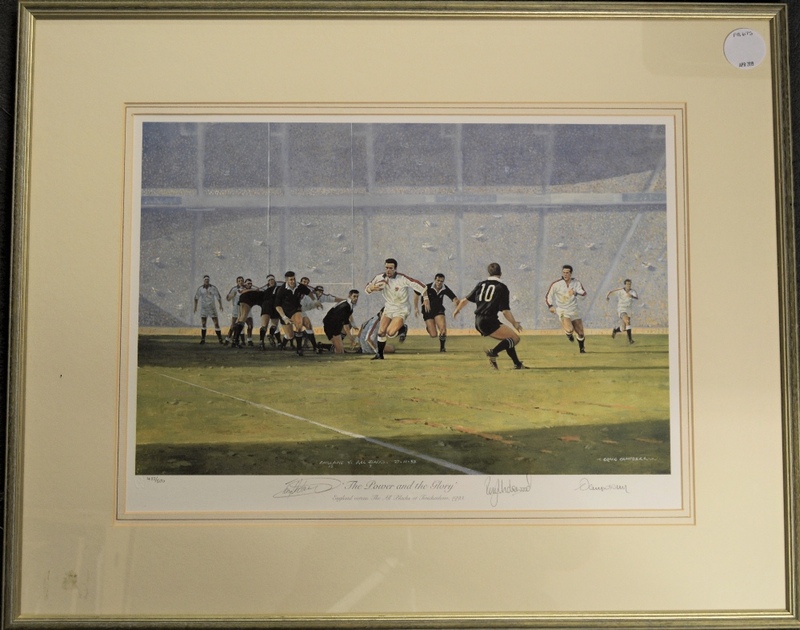 1993 England Rugby Ltd Edition Signed Print 'The Power & The Glory': Dramatic painting of victorious England v NZ action 1993, signed to lower border by the artist Craig Campbell and wing brothers Tony and Rory Underwood, with captain Will Carling the central figure of the work. Bold print. 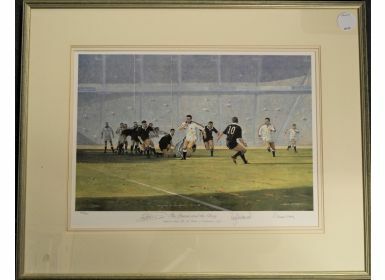 Good condition Framed & Glazed.